This is a Kentucky Wildcats Plastic Tumbler with flip up straw. 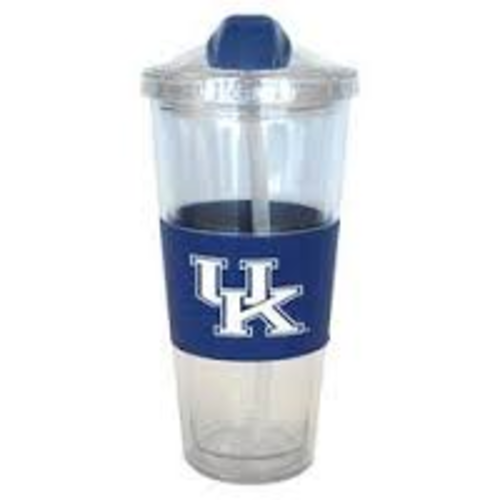 This Kentucky Wildcats plastic tumbler is double walled and great for keeping drinks cool or warm. This plastic tumbler holds 22 ounces and measures 4" x 10.5" x 4".